Get Jet fuel or Aviation fuel at Srinagar Airport (VISR/SXR), India at the most competitive price. Send a query. Aviation Services India through its tieups with certified oil companies and providers makes available Jet Fuel (ATF) at Srinagar Airport (VISR/SXR), India to all Private Jets, International and Domestic airlines. Contact us for best Jet Fuel Price and Aviation Fuel (ATF) Price, at Srinagar Airport (VISR/SXR), India. Srinagar is the summer capital of the Indian state of Jammu and Kashmir. It lies in the Kashmir Valley, on the banks of the Jhelum River, a tributary of the Indus. The city is famous for its gardens, lakes and houseboats. 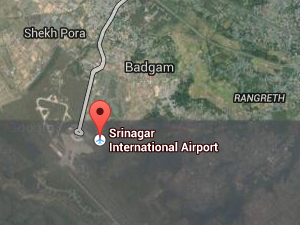 Buy Jet Fuel, Aviation Fuel, ATF at Srinagar Airport (VISR/SXR), India. Send a query.